Celebrating Canadian Martyrs Catholic Elementary School! 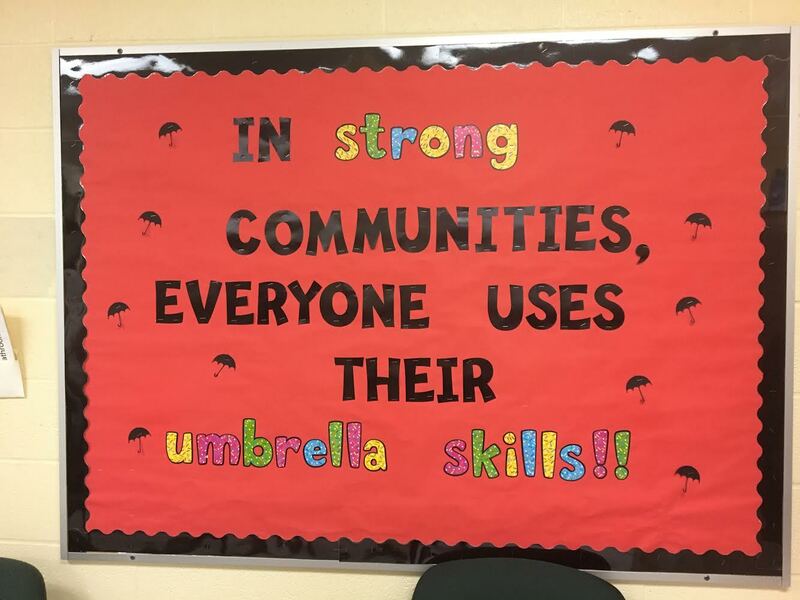 We are so amazed at the creativity and excellence of each of our Umbrella schools! 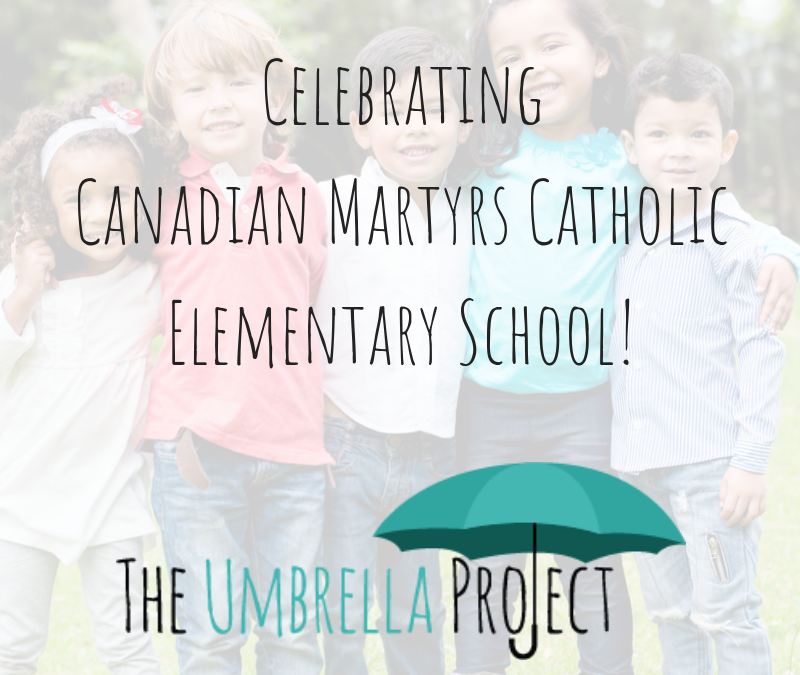 This week, we are celebrating Canadian Martyrs Catholic Elementary School. 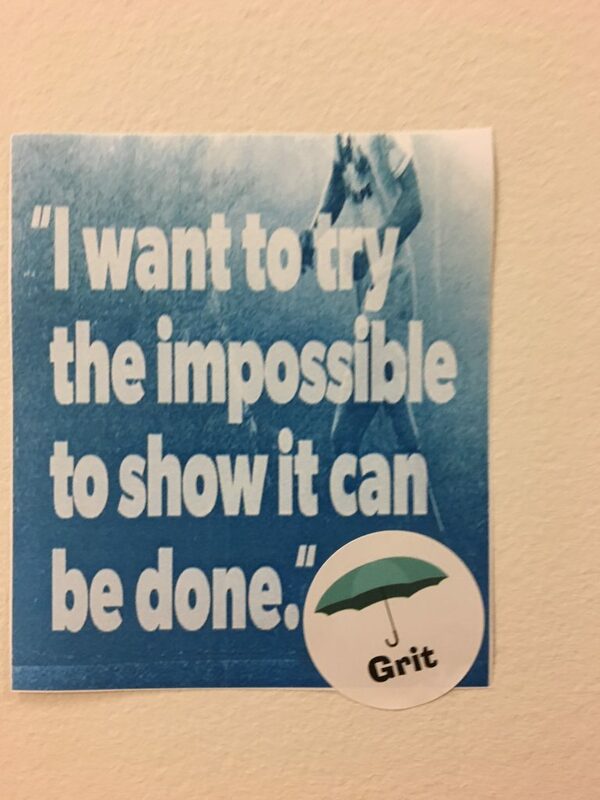 Principal Spitzig shared with us the incredible video, below, made by Mr. Butter and his grade 7/8 class. Mr. de Villeneuve was the artist. 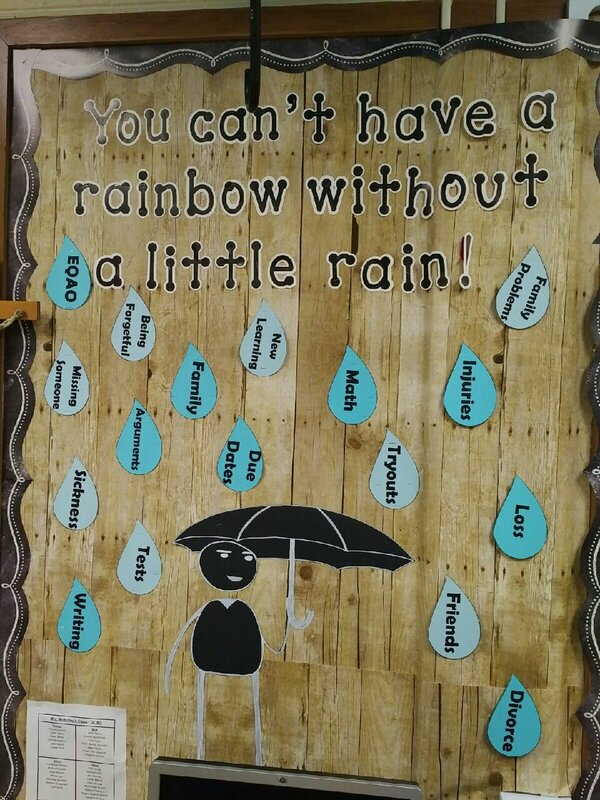 He teaches grade 4. His kids were the voice at the assembly for the school. Please enjoy and join us in congratulating the Canadian Martyrs for this inspiring Mindfulness video. 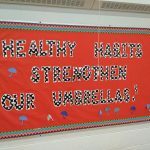 Here at the Umbrella Project, we are so grateful to work with some amazing schools building big umbrellas of wellbeing for their students. Today we want to celebrate St. Agnes Catholic Elementary School in Waterloo. We’ve written about the big heart of this school community before, but they still continue to amaze us! 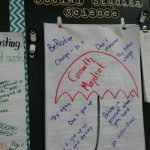 We attended their end of month assembly today and heard students being recognized for a month of growing their self-efficacy umbrella skills. 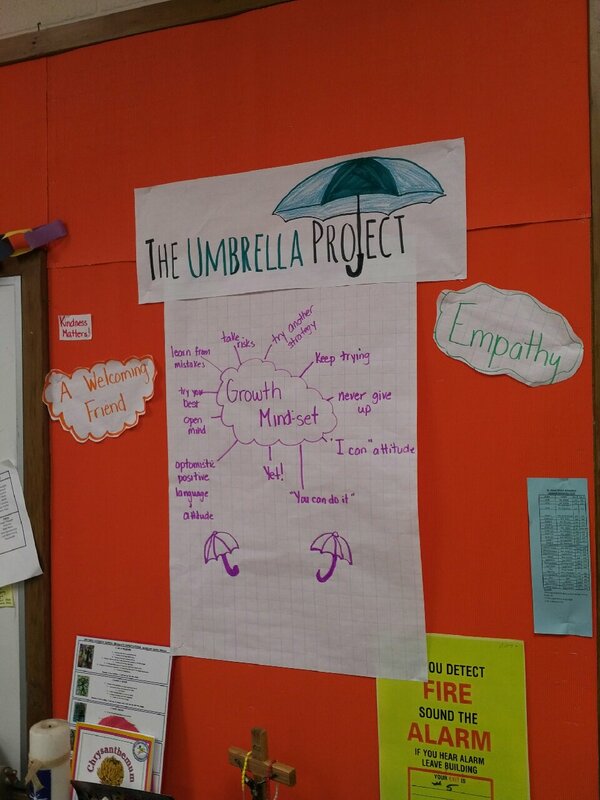 Plus, the students had a chance to introduce next month’s skill to each other – Realistic Optimism! Stay tuned for more on this skill tomorrow. 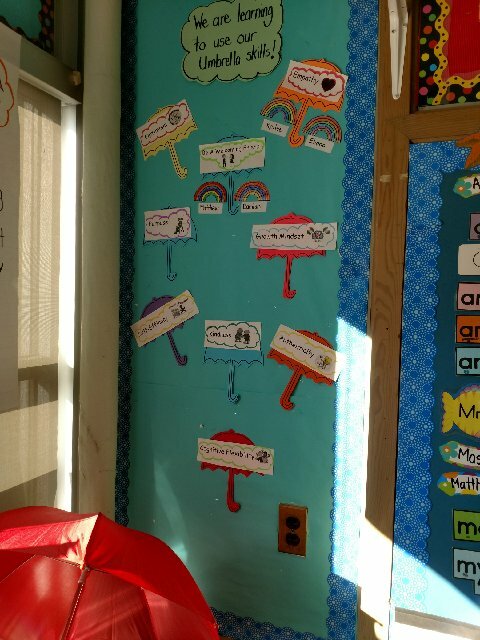 Check out a few snapshots from the halls of this incredible school below! 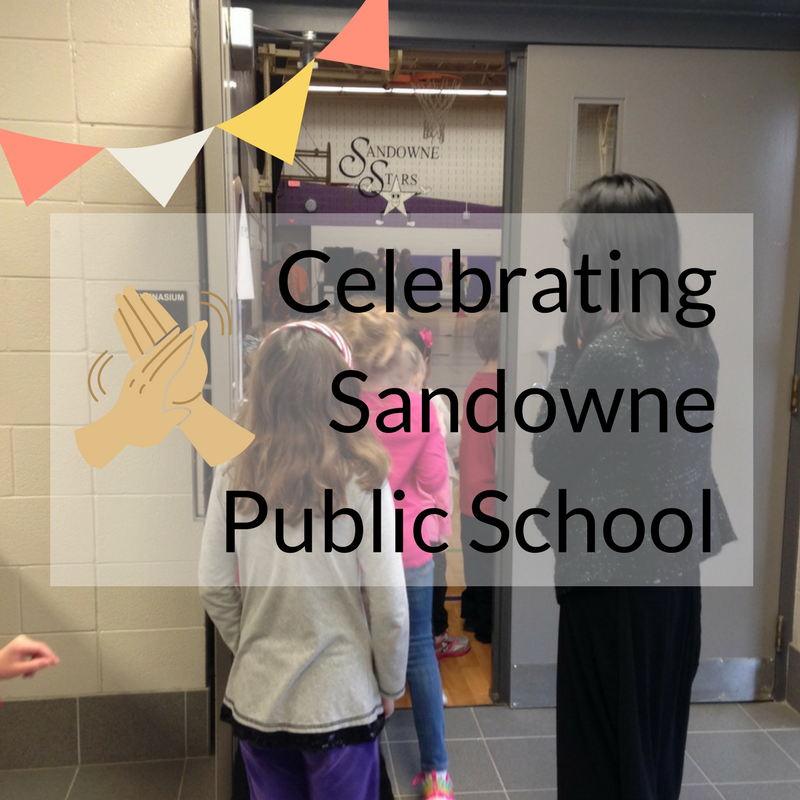 At Sandowne Public School in Waterloo, something exciting is happening for parents, teachers, and every single student in its hallways. 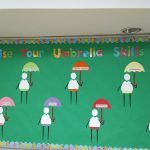 Their umbrellas are growing, and even better – they’re learning to dance in the rain by drawing upon umbrella skills such as self-efficacy, kindness, resilience, grit, and many more! 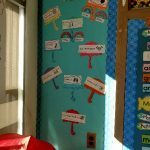 I was blown away by the creativity and deep level of insight demonstrated by this school community when I visited. 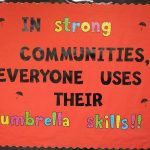 I had the pleasure to attending one of their monthly Umbrella Project Celebrations. 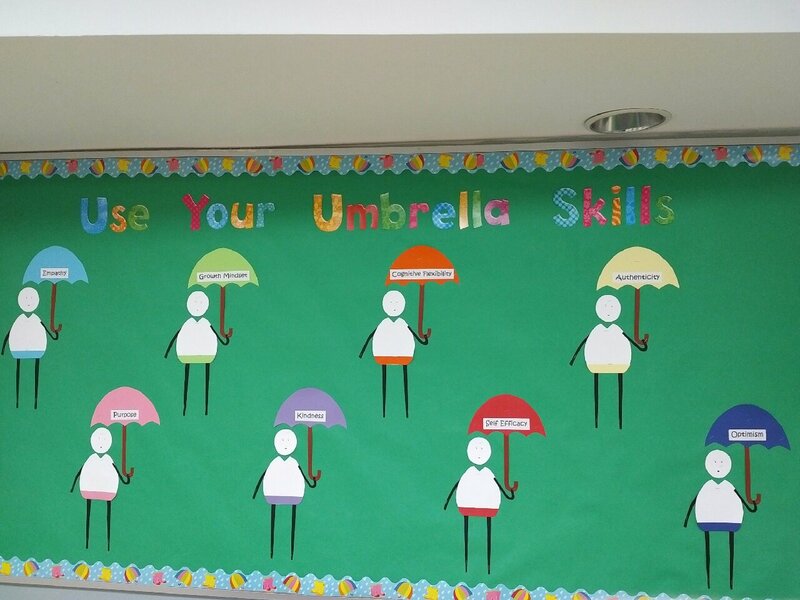 In these school-wide gatherings, students are acknowledged by peers for their expanding umbrella skills. 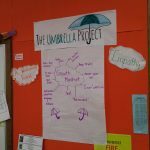 These incredible students brought to life some powerful umbrella skills and had no problem mastering this month’s skill, self-efficacy (a tricky one that they had never seen before). We are so thrilled by your growth, and how you support each other through your journeys. Keep it up!! 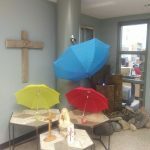 This month, I was honoured to launch the Umbrella Project at a new school that really embraces student wellbeing, the Holy Name of Mary Catholic School. 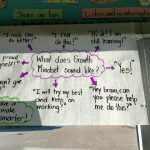 Part way through the launch assembly, we spoke to an incredible student. Brock, a 10 year old from this school, has recently undergone a liver transplant at Sick Kids Hospital and was able to leave the hospital after only 9 days. A new record for them!! The whole school celebrated with him over Skype as he prepared to return home. 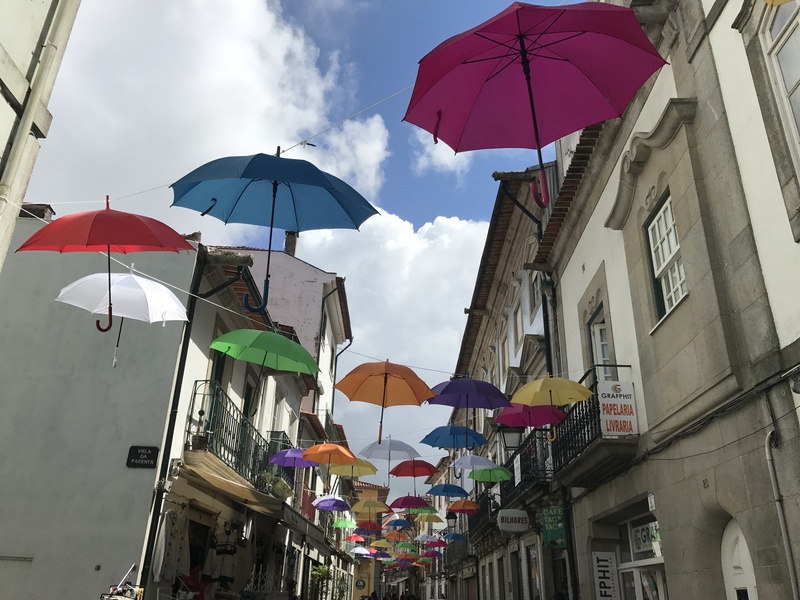 Brock was determined to create a new record for recovery time and used so many skills in his umbrella including resilience, optimism, grit and purpose to accomplish this incredible task. 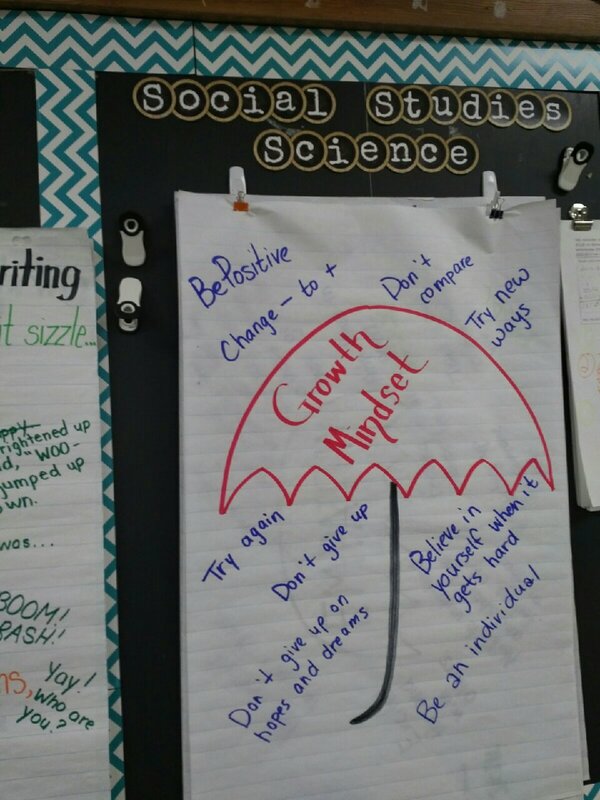 We joked that we weren’t sure his giant umbrella would fit in the school when he gets back. The research shows that hearing stories of others using resilience helps us become more resilient. Everybody in the school gym that day learned what it looks like to be resilient and how to grow from life’s toughest challenges. Thank you Brock for making everyone you know a bit stronger!! Next time you hear an inspiring story of someone overcoming adversity – notice that this is not by chance. Take a minute and see if you can name the skills they used to do it. 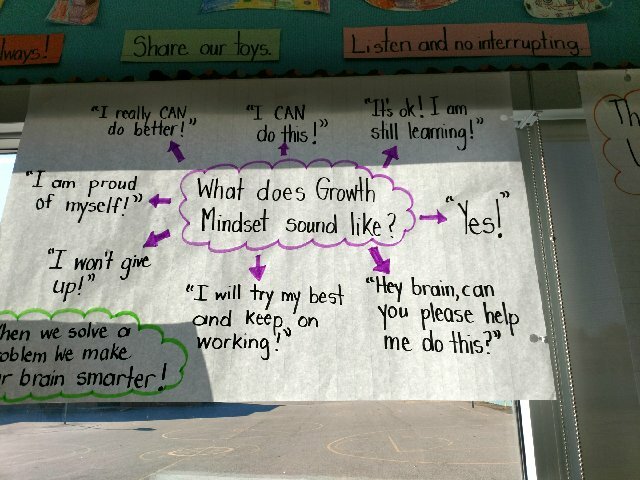 This is a great way to show kids which skills they can practice to get stronger. 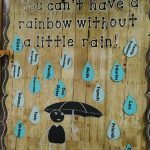 Follow us here at the Umbrella Project to learn about a new skill each month that will help your child grow from challenges. 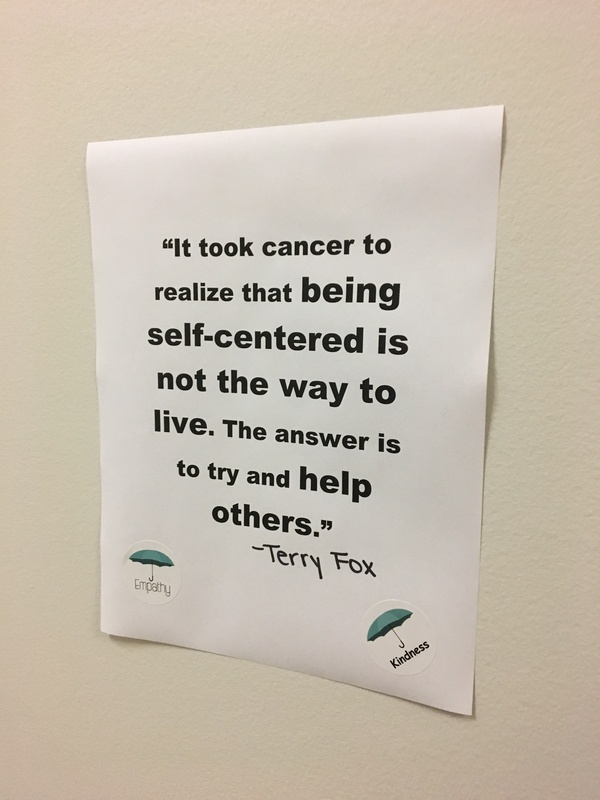 Visit also the Terry Fox Foundation on Facebook and the local @WaterlooTFR Twitter account. 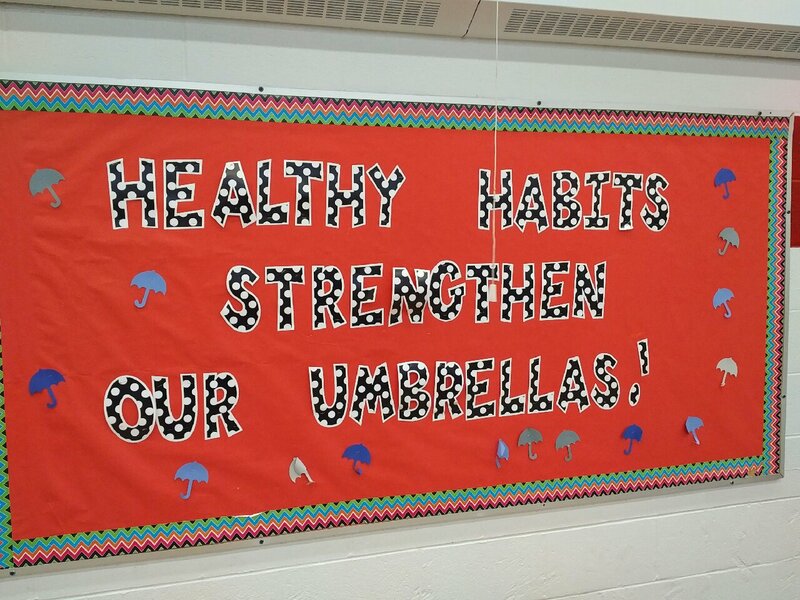 This week we want to share a story from St. Agnes School. Known as the little school with a big heart, they certainly proved themselves worthy of this title. One particular family starting at their school this fall had just moved directly from a refugee camp with very little support or resources. Noticing this, the school rallied together and filled the principal’s office with everything they could think of to help this family succeed. One parent even went to this family’s home on the weekend to set up a new crib for their infant. 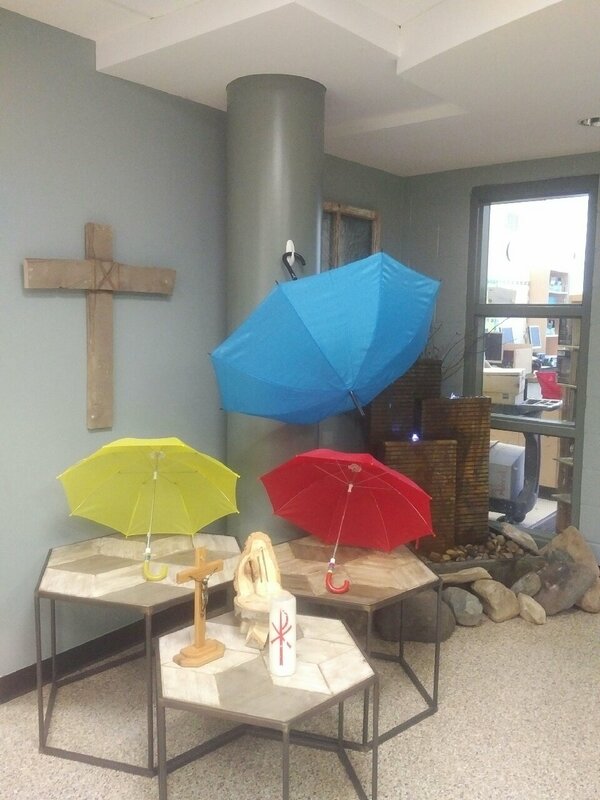 Not only did this new family gain a supportive and caring community, the umbrellas of everyone at St. Agnes have grown a little bigger from using so much kindness and empathy! 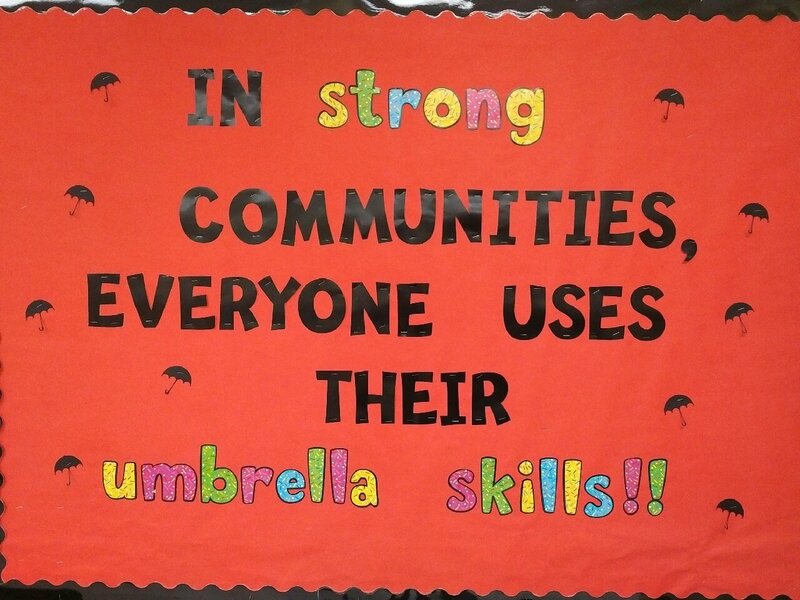 Thank you for showing us all what it means to use your umbrella!